Kicked-off a pilot project in Mesaieed for recycling of all the Organic Waste generated by its kitchens. All recycled organic waste is converted to 'A Grade' Fertilizer/Compost. This concept is planned will be initiated in all AMWAJ operations. 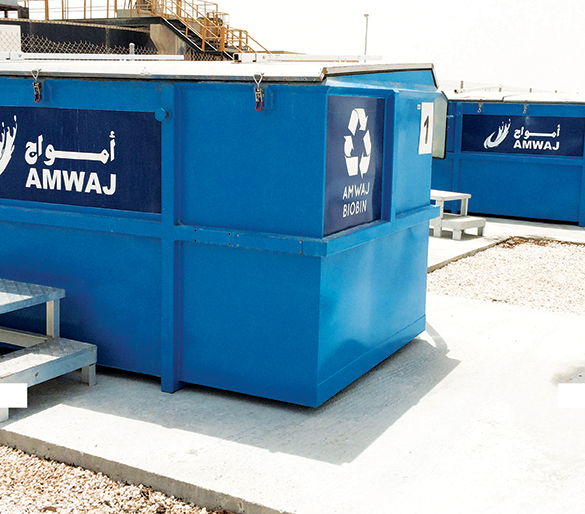 AMWAJ is in the pilot project of the implementation of the recycling of all cardboard, paper, plastics, tin and used kitchens oil.